Compulsive gambling is a behavior observed among about 3% of the gamblers, in which the afflicted persons are unable to stop gambling. This happens even when afflicted gamblers realize that they are spending far too much money and time on gambling and are harming themselves and their families. 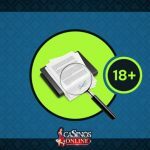 The causes, risks and symptoms of compulsive gambling are analyzed below. Compulsive gambling is believed to stem from a combination of biological, genetic and environmental factors. The American Psychiatric Association classifies it as a medical disorder similar to alcohol and drug addiction. Compulsive gambling is a progressive disease, and will worsen over time unless treated. 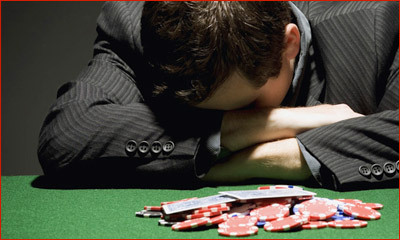 The need for gambling provides some emotional wellbeing to the addict. Certain sections of the population are at greater risk, meaning that they are more likely to suffer from compulsive gambling. Men are at greater risk than women and the young are at greater risk than the older gamblers. Because of the genetic involvement, children of pathological gamblers are at greater risk. People who have substance abuse problems and mood and personality disorders run higher chances of becoming compulsive gamblers. Other risk factors are poor education, single persons and low income persons. According to the American Psychiatric Association a person who exhibits at least five of the following symptoms could be classified as a pathological gambler. • Lying about the extent of involvement with gambling. • Jeopardizing relationships or losing jobs because of gambling. Alleviation of problem gambling requires professional help and the sooner it is sought the better it is for the gambler. 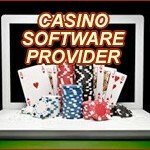 Each country has reputed and accredited organizations that offer assistance to problem gamblers. Apart from face to face counselling, services are available through telephone or the Internet. The Internet option is popular because it can permit anonymity. 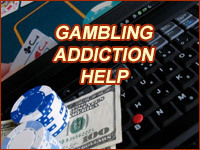 Many problem gambling organizations allow gamblers to interact at their forums without directly seeking counseling. This enables the addict to compare notes with the other people like him. Gamblers Anonymous is an international organization with units in all major countries of the world. Its web site can be used to locate the closest center. Problem gamblers can also connect to the centers through a hot line. Gamblers Anonymous defines itself as “a fellowship of men and women who share their experience, strength and hope with each other that they may solve their common problem and help others to recover from a gambling problem”. There are no fees for joining Gamblers Anonymous. The organization is self-supporting. The two key programs are the Recovery Program and the Unity Program. NCPG is the nodal American agency for problem gambling. It has its headquarters in Washington DC and a state unit in every state. A wide range of programs is offered. The emphasis is on providing a tailor made program to suit the individual’s requirement. Longer programs are carried out in non-hospital residential environments and as inpatient treatment programs in hospitals. NCPG also focusses on spreading awareness about problem gambling issues through press releases, conferences, advocacy and preparing responsible gambling guidelines. GambleAware is a United Kingdom based organization. It aims to promote responsible behavior in gambling, to help understand and recognise problem gambling and provide further information, help and support. GambleAware is administered and funded by the Responsible Gambling Trust, an independent national charity that raises funds from the gambling industry in Britain through a voluntary donation system. GamCare is another United Kingdom organization that provides support, information and advice to anyone suffering from a gambling problem. Gamblers can use NetLine to talk live online to an advisor who is trained in offering emotional support, information and advice. National Gambling Helpline offers the same service over telephone. It can be availed from 8 AM to midnight, seven days a week. The Message Forum and Chatroom are moderated areas where gamblers can discuss issues, ask questions and offer advice. Other activities include face to face counselling, certification of online casinos based on their responsible gambling practices and dissemination of information. Though gamblers with certain characteristics are at greater risk with respect to compulsive gambling, any gambler can be afflicted by the disorder. 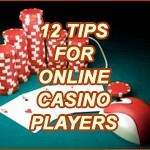 Therefore everyone who gambles should be aware of all aspects of problem gambling. The problem gambling disorder gets worse if not treated. Therefore it is essential that professional guidance is sought when the symptoms first surface. 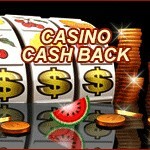 It is a well-recognized fact that problem gamblers hesitate to offer themselves for treatment. Therefore the onus falls on the family members of gamblers to be watchful for the symptoms and initiate treatment proceedings. Family members have a crucial role to play in the rehabilitation process as well. The National Council for Problem Gambling offers special sessions for family members of those undergoing treatment.